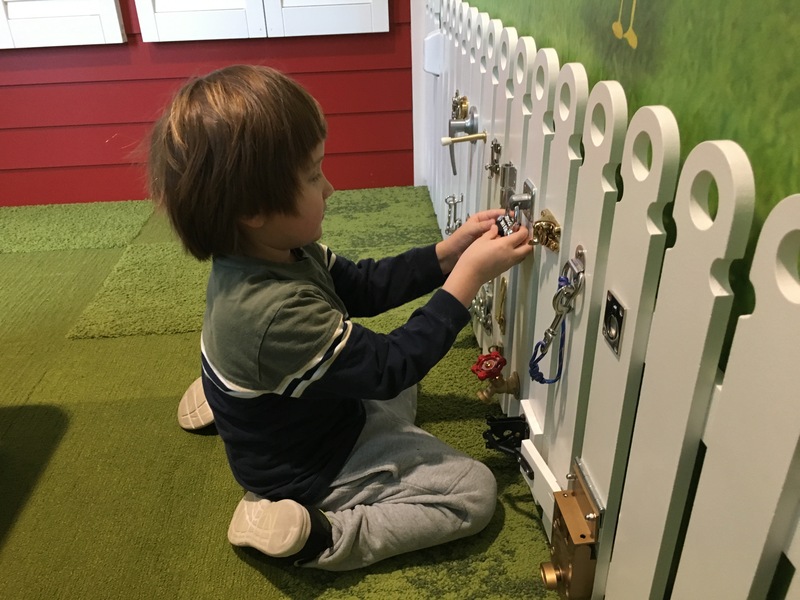 From the many dramatic play opportunities that pay homage to Bellevue's frontier past to the expanded water play gallery with added features for the littlest tots, the new KidsQuest Children's Museum in downtown Bellevue has plenty of attractions to draw families from the Eastside and beyond. As a longtime museum member, I had the opportunity to test out the new museum with my two kids on Monday, a day before it opened to the public. Here's what we found. 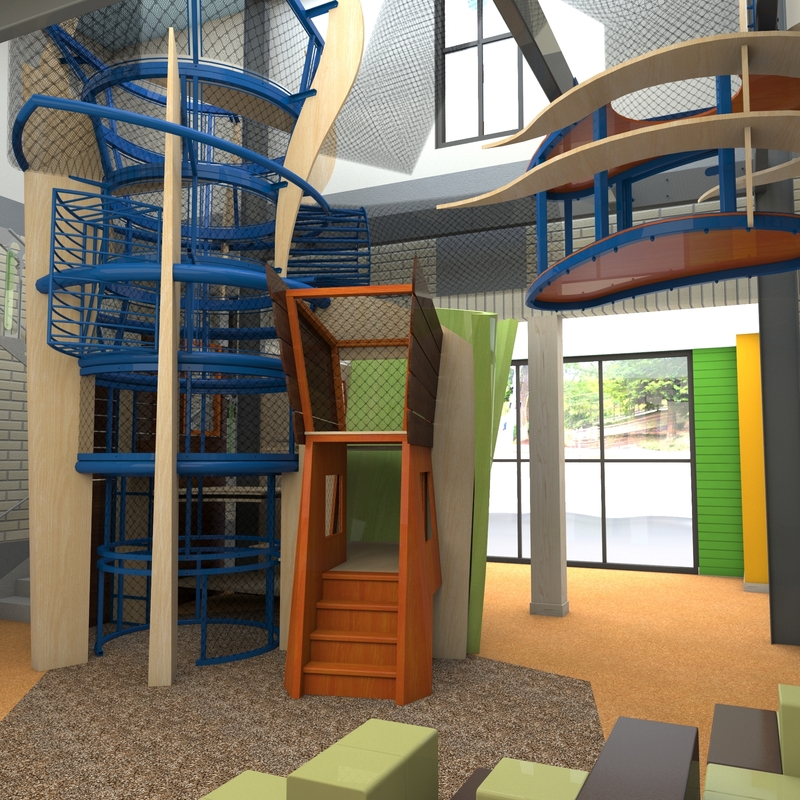 Enter through the front lobby to an airy and open atrium with an inviting two-story climbing structure as the main centerpiece, an irresistible attraction for the curious and adventurous. While there is a path for little climbers to explore that begins with a short staircase, the main structure funnels upwards to multiple roped platforms and tubes to climb. My kids were skittish about being trapped inside the structure, but I'm sure a few more visits will open them up to the idea. Note to parents: If your little one starts climbing but freezes, the structure is safe for adults to climb as well. Here are a few of the new attractions. 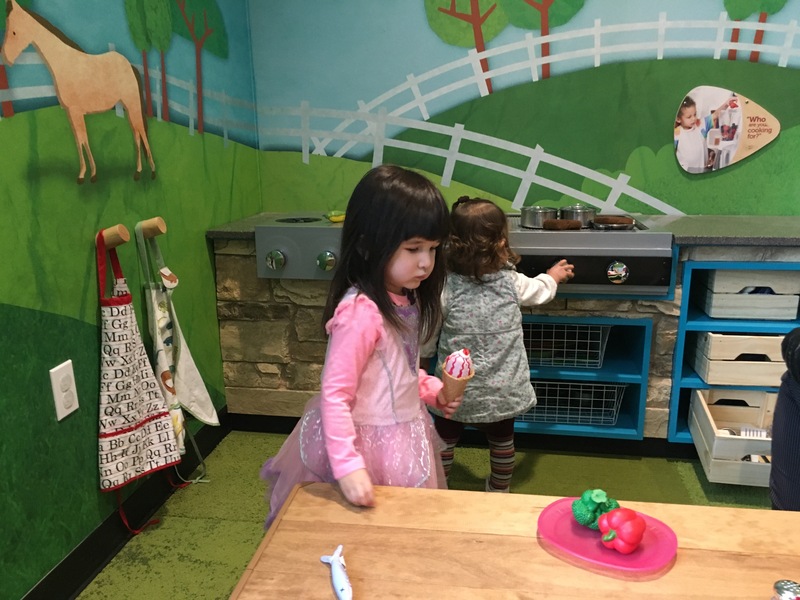 Pretend play area that explores history: Similar to Hands On Children's Museum in Olympia and Discovery Playtown in Maple Valley, KidsQuest now features Bellevue Mercantile, a general store, ice cream parlor, and mini farm packed in to one side of the museum's second floor. From restocking shelves to manning the cash register, kids can interact to simulate a real store and learn about cooperation. It was a big hit with both my kids, who couldn't stop plying me with ice cream cones. . Process play: A new Amazon warehouse-esque interactive exhibit demonstrating the steps involved in preparing and shipping out packages was a draw for my 5-year-old son. There are various cranks to turn, scales to test and moving parts. Note that bigger kids will jostle for position, so keep an eye on little ones who want to get in on the action. Tot splash play: If your toddlers could never quite see over the edge of some of the water exhibits in the museum's previous incarnation, don't miss the Tot Splash zone off to the right of the main water gallery (see below for more on that), with spigots and a ball cannon low enough to the ground for maximum thrills and fun. My daughter, 2, who was easily bored with the lack of water play options before, could not be pulled away from the drippy spigots. 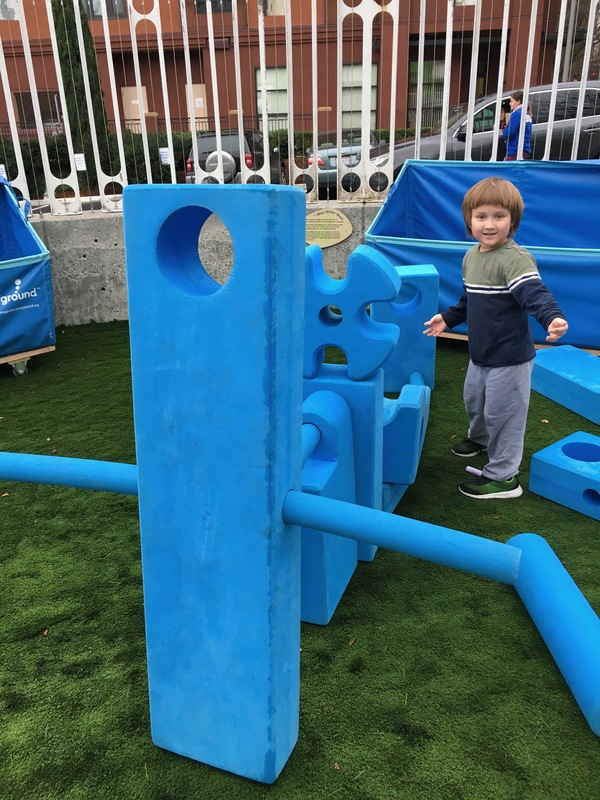 Outdoor play: A new, fully enclosed outdoor play area offers the opportunity to get a little fresh air. Create a masterpiece with sidewalk chalk, play a tune on a xylophone or test your tower-building abilities at multiple sticks and stones stations. Reimagined water play: The expanded water play area on the first floor boasts familar activities such as building a water piping system, along with new ones such as creating your own cascading water system along a wall of adjustable spigots and moveable water-channeling platforms. My son could have stayed here for hours. Bonus: There are more blow dryers available to dry off. One caveat: Between the blow dryers and the water sounds, the gallery is a bit of an echo chamber. Kids who are sensitive to noise may opt to go elsewhere. Truck cab: The much-loved semi-truck cab at the museum's original location inside Factoria Mall is newly reincarnated inside the On the Go gallery. With new upholstery and a fresh coat of blue paint, this remains a kids' favorite. Luckily, there is now only one point of entry for the cab; you won't need to worry that kids have slipped out the back. Designated classrooms: Three designated classrooms include an art studio, learning lab and a maker space, which together will house an assortment of rotating arts and crafts and STEM-focused activities without compromising room to move around. These rooms are also available for birthday party rentals. Train tables: The Factoria location's beloved train table has doubled in size and moved out of the space designated for younger tots. Not to take all the fun away from the crawlers, a smaller train table is also located in the Tot Orchard, the new space designated for ages 3 and under. Tot Orchard area: Set off to the side on the second floor, this new space, designed for the littlest set, is more out of the way and hopefully will keep some of the older kids away from babes still learning to crawl and walk. Your explorers can play with buttons, mirrors, and an assortment of food toys. There is also a tot-sized slide and play props. Nursing area: If your little one needs some quiet time, slip into the new nursing area adjacent to the Tot Orchards for some respite. The lights are dimmable. Story Tree: If the other exhibits are what initially bring you in, the Story Tree is what will keep you — maybe longer than you had planned. This corner on the second floor features an enticing spiral staircase that takes you to a quiet "book nook" with comfortable seating and cushions and a large selection of curated books for a variety of reading abilities. Restrooms: There are now two men's and women's restrooms along with two family restrooms. Note: The museum directory plaques only identify one. The other one is located inside the Learning Lab classroom, across from the water gallery. Snack areas: Without the exterior mall where kids often took their snack breaks, the museum has designated snacking locations on the stairwells and in the lobby, complete with garbage and recycling bins. There is no place to buy snacks on the premises. Safety: A two-story museum creates some new challenges as well, such as watching more than one child. My 5-year-old son didn't want to be tethered to his younger sister and wanted to explore on his own. Tip: Point out staff members and reinforce that kids should ask for help if they can't find their grown-up. Perhaps designate a meeting place — there is plenty of seating for grown-ups to sit a spell and catch up on their phone surfing. The Factoria factor. The Factoria mall location presented easy food options like Jamba Juice, Panera and Starbucks without your ever having to step outside. Target was also a convenient stop before heading home. A visit to the new location means packing more snacks if you aren't up for exploring the neighborhood. But while you can't as easily combine shopping with a KidsQuest visit, you can easily make your library stop at the Bellevue Library next door (for KCLS members). Hours: Monday, closed with exceptions. Tuesday–Thursday 9 a.m.–5 p.m.; Friday: 9 a.m.–8 p.m.; Saturday 9 a.m.–5 p.m.; Sunday noon–5 p.m. Parking: The museum's own lot allows for only about 20 spaces. There is additional parking in the adjacent Ashwood parking lot off of N.E. 12th Street. Note that the Bellevue Library parking structure and lot is for library patrons only and you do risk getting ticketed. Lockers: The museum no longer provides cubbies for storing belongings, though there is limited space under some of the benches in the lobby area. Lockers are available for use for $1. Fuel Up: The familiar Panera Bread is two blocks away on 106th Ave. N.E. Rolls and Rolls Plus Sushi on 110th Ave. N.E. is another affordable option where you needn't hop back into the car. If you didn't mind a short drive, the upscale shopping district on Bellevue Way, including The Bellevue Collection and Lincoln Square, provides ample parking and many food options. A short drive also takes you to Whole Foods and Uwajimaya markets. 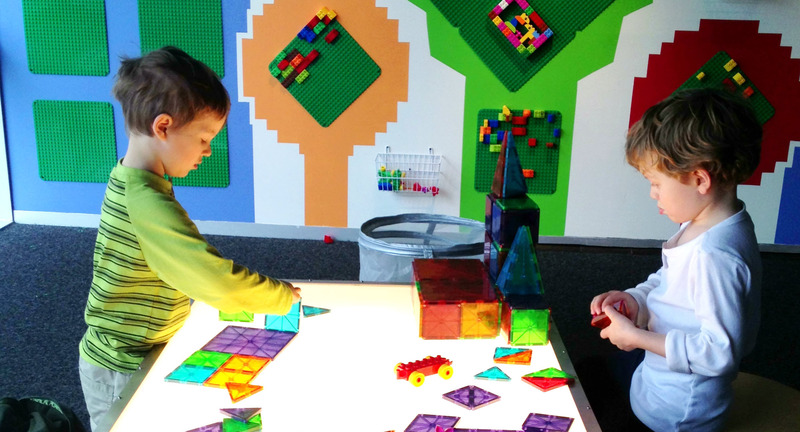 Explore Bellevue: The museum's new location offers opportunities for nearby fun. Unless there is an event there, the inviting green grass at Ashwood Playfield next door is a great place to blow off some extra energy before the car ride home. On dry days, have your lunch here instead of inside the museum's lobby. Bellevue Library hosts a variety of story times throughout the week. 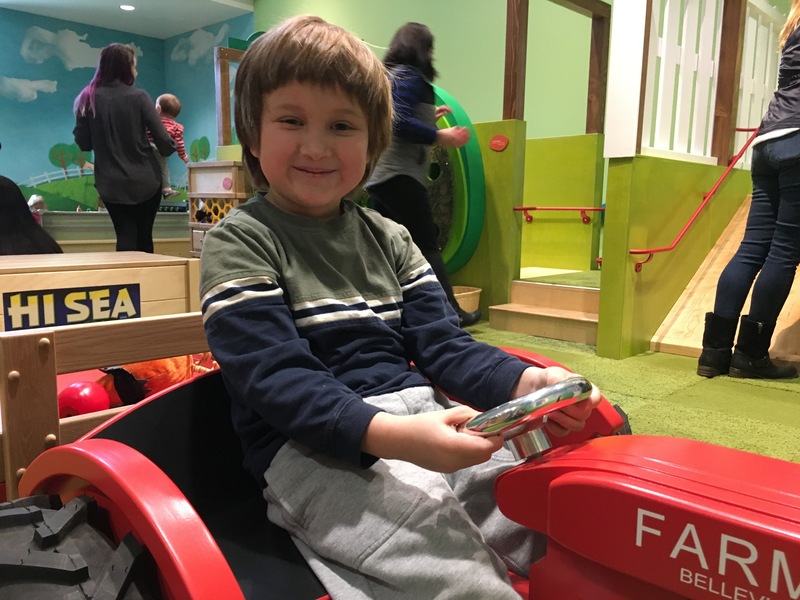 If you're over by The Bellevue Collection, make a stop at Bellevue Arts Museum, where kids under age 6 are free. The museum hosts a family craft event on Saturday afternoons; combine it with a visit to Bellevue Downtown Park, just a block away.